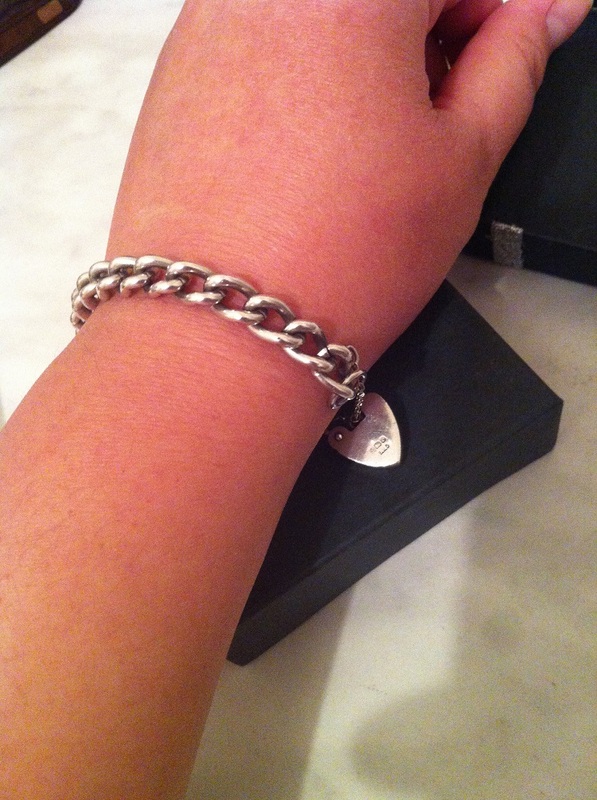 I am thinking to wear a bracelet and the thought of silver bracelet just comes on my mind. I am thinking to wear it for everyday use including sleeping, washing, showering, etc. Do you think it is a good idea? Why do I choose silver bracelet? 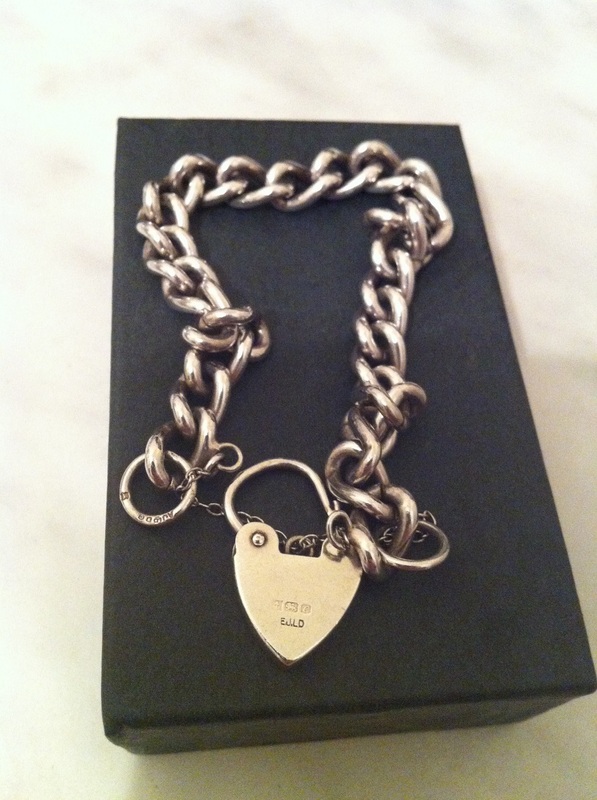 First, the price is much cheaper than gold bracelet. So if you somehow break it or loose it, it does not hurt you that much as far as money concern. Second, it is just as beautiful as any other bracelet made in gold or white gold. Third, silver is more trendy and up-coming compare to yellow gold, well though I love gold so much, wearing yellow gold bracelet as an everyday item will deem a little too much. As I am collecting antiques, I am thinking of an antique silver bracelet. But since the price of antique silver is more expensive compares to the vintage one, then, here I am opting for the vintage silver. I found a type of bracelet that I like on ebay. 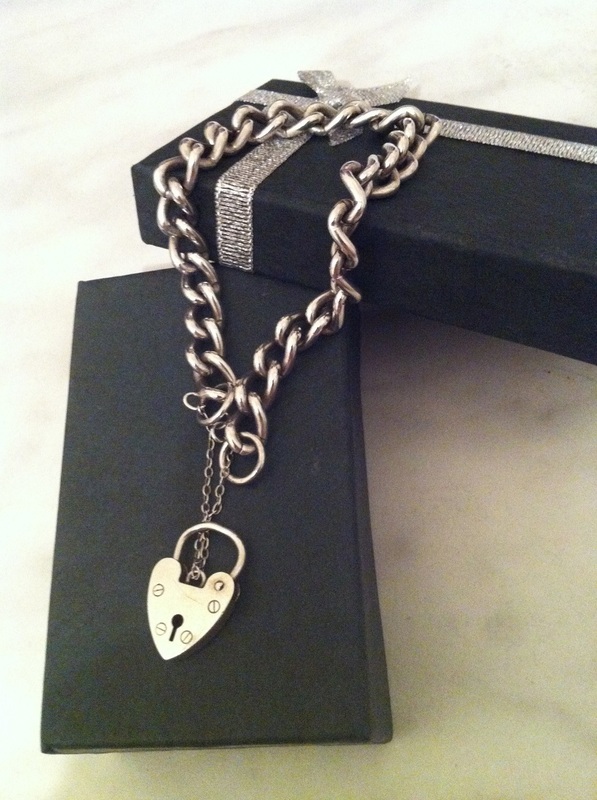 It is a chain-type bracelet with heart padlock. 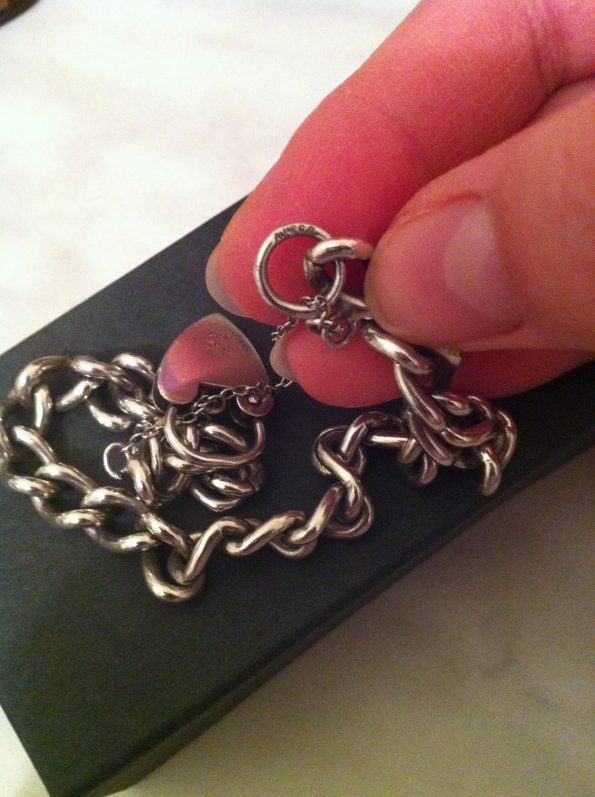 It is a vintage bracelet with British hallmark. It is made in 1977. On the padlock it has Birmingham hallmark consists of an anchor, a lion, a letter e, and marker’s mark EJ.LD. Anchor represents a town assay office of Birmingham. Lion represents sterling silver, i.e British sterling silver which confirms the purity of the silver is 925/1000. And letter e means the year when it was struck. In this case small letter e represents year 1977. Marker’s mark EJ.LD, I think belongs to Excalibur Jewellery Ltd which has an office in Birmingham. 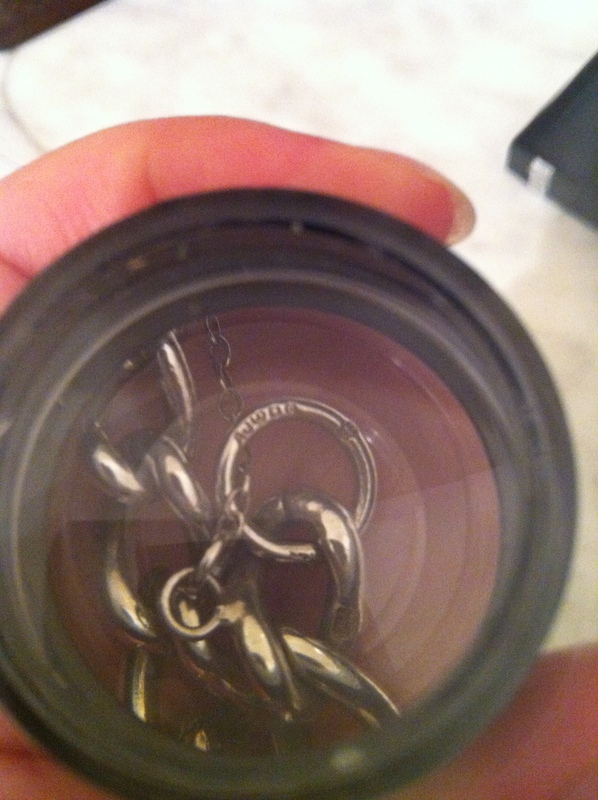 There is also a hallmark on one of the chains. The hallmark, interestingly, has a London town assay office. It reads as: AJ40, leopard head, and a letter e. This means the chains might be made in London by different manufacturer (not the same as the padlock manufacturer). It is though seems to be made in the same year of 1977. There is also a lion hallmark on the far side of the chain. On one of other link, it also has a lion hallmark. 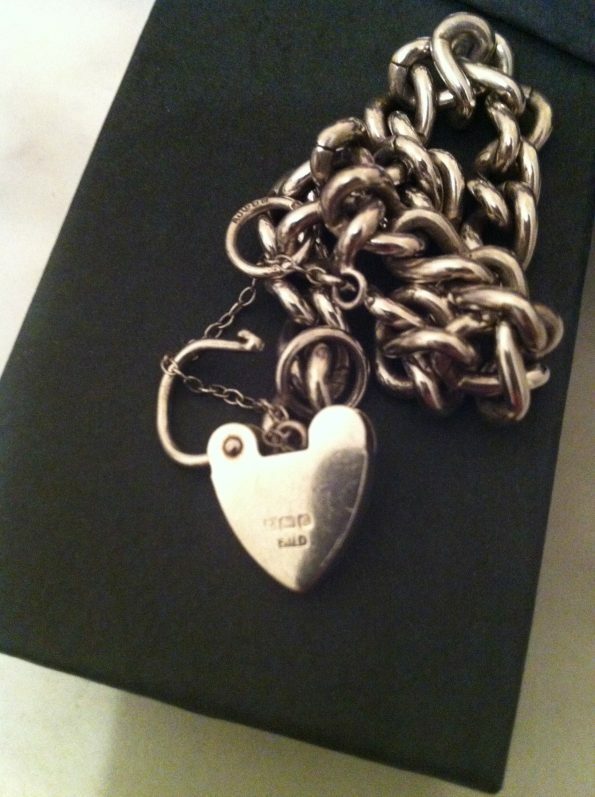 The weight is about 24.50 grams, so not very substantial. 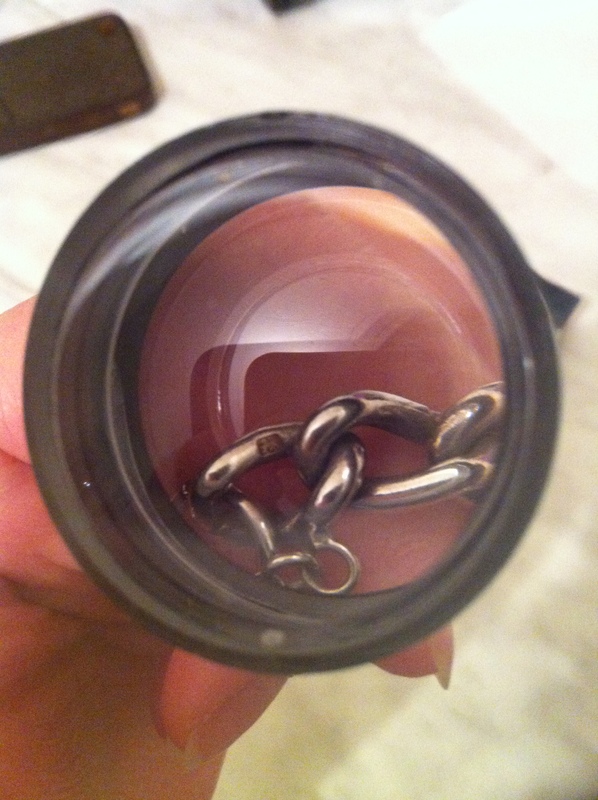 When I bought it, the links are not shiny, so I polish them, and the bracelet looks good now. Hopefully it can stay longer in my hand.